This enterprise server deployment will support the Fort Knox Garrison, United States Army Recruiting Command (USAREC) and U.S. Army Accessions Command (USAAC). FCN Technologies today announced that The United States Army Fort Knox , located in Kentucky, has selected Desktop Alert, Inc. for expansion of their alert and recall automation infrastructure. This enterprise server deployment will support the Fort Knox Garrison, United States Army Recruiting Command (USAREC) and U.S. Army Accessions Command (USAAC). Desktop Alert is now slated to provide enhanced mass notification to upwards of a half million end-users in the U.S. Army and the U.S. Army Joint Reserve Components. The U.S. Army utilizes Desktop Alerts' mass notification technologies in Germany, Belgium, Netherlands, IRAQ, National Guard Bureau, Fort Leavenworth, Fort Leonard Wood, Fort Campbell, The United States Military Academy at West Point, Fort Rucker and now Fort Knox among other installations. The Desktop Alert notification messages appear as pre-defined or on-the-fly pop-up window, which will force immediate attention to workstations receiving the message. The message will define instructions for the action(s) to be taken. The alert message content can comprise of video, audio, image or text, singularly or any combination of these media. Notification alerts will be received base-wide within an average of one minute after the alert is sent by the system. The Desktop Alert Enterprise Edition Platform will guarantee alerts are served to thousands of personnel and machines with critical content delivery. Desktop Alert is built on the Microsoft .Net Platform. Desktop Alert's open systems architecture will continue to manage the fabric of rapidly evolving alert notification and response technologies. Desktop Alert integrates with numerous third party vendor technologies. Our focus is to integrate with and support customers' existing mass notification capabilities such as giant voice, siren systems, public address, intrusion and alarm systems, surveillance systems and any future developed technology. Located just 35 miles from Louisville, Fort Knox encompasses 109,000 acres in three Kentucky counties. 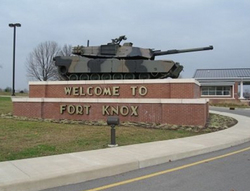 Fort Knox has a population of over 23,000 Soldiers, family members and civilians. Fort Knox is home to the Army Armor Center, USAREC and several other important subordinate commands. The Armor Center and School is the largest organization on Fort Knox and performs the mission of training all armor Soldiers and Marines. USAREC headquarters conducts the mission of bringing men and women into the U.S. Army. 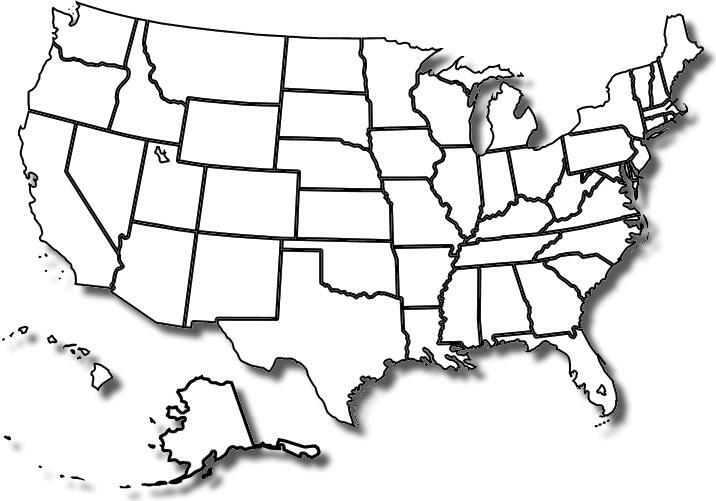 Additionally, the Eastern Region of the ROTC is headquartered at Fort Knox. Units located at Fort Knox are considered "Partners in Excellence" and include active duty Army organizations, Army Reserve, National Guard and the U.S. Marine Corps. Also located at Fort Knox is the Patton Museum of Armor and Cavalry. Rapid deployment of the Desktop Alert Mass Notification Platform is made possible because there are no requirements for onsite implementation engineers. The install process of Desktop Alert can be managed over the phone in just several hours and can be installed on existing hardware. These elements save Desktop Alert customers highly valuable time, resources and logistical costs required for implementations associated with enterprise-level software. Since no onsite engineers are required, Desktop Alert delivers Mass Notification platforms with a very competitive price point. "Fort Knox is well known as one of the most secure facilities of its kind in the world. Being selected by such a prestigious and iconic military post is a great honor to our company," said Howard Ryan, CEO and Founder, Desktop Alert Inc. "Our company has experienced significant growth and rapid adoption of our mass notification products by the U.S. Army worldwide. " "It is a special honor to serve those Soldiers who volunteer for education and recruiting duties. These professionals tell the story of great heritage and opportunity offered by our United States Army. Supporting the soldier's ability to communicate is one of the strongest reasons why being a part of the Desktop Alert Team is such an honor", added David Zadick, President, Desktop Alert Inc.
"We have hit on the right formula by providing a mass notification solution that is highly effective, affordable and reliable for everyday business use and for the most challenging emergency conditions", said George Sullivan, President, FCN. "Desktop Alert is a best-of-breed Message-oriented Middleware solution that integrates easily and affordably based on an organizations needs and requirements." FCN Technology Solutions (FCN) is full service solutions provider and a woman-owned, small business serving the Federal Government and surrounding Washington DC Metro area. We provide high quality engineering services, networking services, storage solutions, IT disaster recovery solutions, enterprise application development consultation services and products vital to the operations of the Federal Government. FCN retains best-in-class Systems Engineers, Account Managers, Sales Engineers, Subject Matter Experts and Consulting teams that are certified on the products and services that we provide. Worldwide U.S. Military organizations such as The United States National Guard, The United States Air Force Academy, The United States Military Academy at West Point, Multi-National Forces in IRAQ, The U.S. Air Force, The U.S. Army now utilize the DTA mass notification platform daily for their organizations emergency communication requirements. Desktop Alert can contact thousands of computer users at their desktop and require them to click to confirm receipt of the message flashed on their screen. Those not verified can then be listed on a report and/or sent as a "Target Package" to be automatically contacted by other means such as email, SMS, phone calls and other devices. For more information on Desktop Alert, please visit http://www.desktopalert.net.